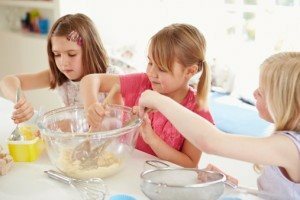 Let Your Kids Take Over The Kitchen! Summer camp is over, but school hasn’t started yet. What to do with the kids? Enlist their help in making some cool treats. One of these recipes will surely be a hit with them and their friends! If you do not have time to spare at home, as all mommies can appreciate, stop into our OFFICE location in Cranford on Wednesday evenings starting in September for our family night! Featuring our craft corner for kids with a new craft every week. We know they will have fun, plus kids eat for free at family night!